Adawnage is trully more than a band, their entire Safari Album is such awesome music. I listen to it over and over and over again, its a blessing, an encouragement and a prayer. 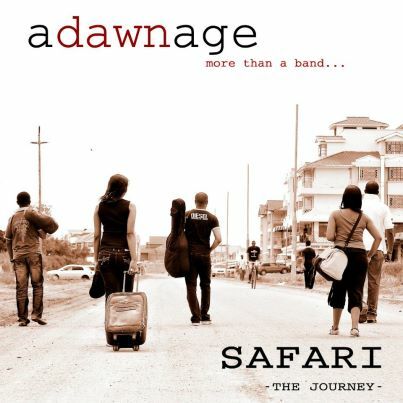 To know more about them follow them on Twitter @adawnage and find out where to get their Safari Album. Its a must have!!! You’ve got me wondering, if you know that I am wondering about you. The feeling is so strong that, I can’t imagine you’re not feeling it too. You’ve known me long enough to trust that I want what’s best for you. Now everyday ain’t gonna be like the summers day. Being in love it really ain’t like the movies screen. This is one of the songs I really love and it encourages me when I’m feeling down..
She was a woman blessed with major talent.